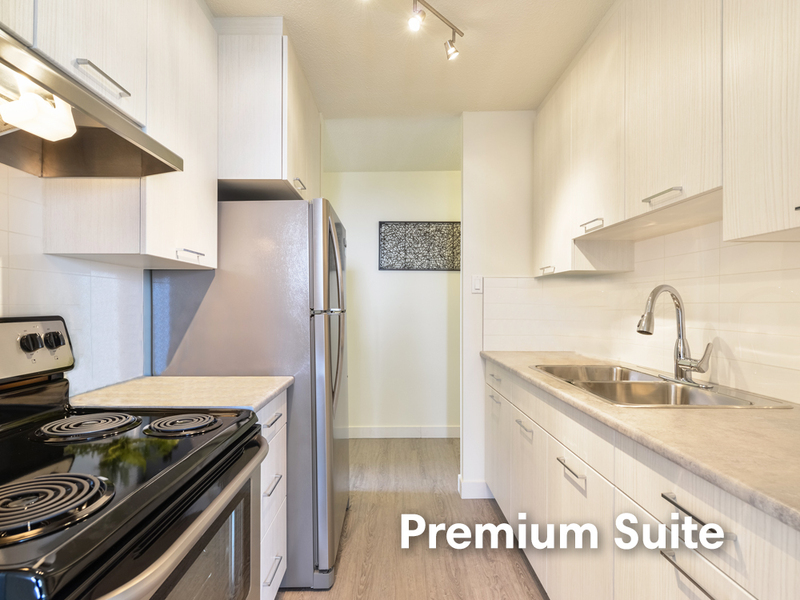 3 bedroom suites have 1.5 bathrooms and ensuite storage room. Whitehall Square is a clean, quiet and a well maintained, family and pet friendly community with a fitness center, outdoor sports courts and hair salon. A Community Room is available to rent for large gatherings. Please contact the Leasing Office for information. Professional Service representatives, on call emergency maintenance for after hour calls, plus our 24 hour call centre to provide utmost customer service. Smart Card System for laundry facilities on site. There are 6 elevators in this community. Whitehall is conveniently located across from Meadowlark Shopping Centre and close to West Edmonton Mall, which offers banking, medical facilities, restaurants, entertainment and shopping. Major roads near by include Whitemud Freeway/Anthony Henday Drive as well as major bus routes. Parking is available for an additional cost - $40 outside and $50 covered per stall. Additional storage units available for rent in the towers. Pets are permitted with $25 monthly pet fee (per pet) pending approval of pet application. Seniors pay $299 security deposit. Note: Security Deposit and Rental Rates may vary from suite to suite. The rental rates listed above are subject to change without notice.